The Undergraduate Research Experience Program at Elizabeth City State University hosted the 2006 Internship Roundtable on October 24, in Lester Hall. 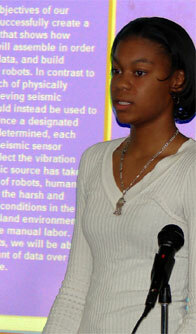 This year's Internship Roundtable brought new faces and internship experiences to students at ECSU including areas from remote sensing and computer robotics to geology internships in the desert. Several students presented their 2006 summer experiences and explained the methods they used in obtaining these internships. 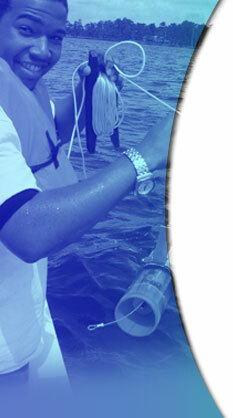 Other students brought new research experiences to the table for the summer of 2007. These included the where, when, and how's of applying for internships and the requirements needed up front. Ms. Sandra Gibson, of ECSU Career Services, spoke on the opportunities and resources provided by her office. She encouraged the students to "seek out" these opportunities and to ask questions of those who have experienced the process.